The system has already created some pre-defined user roles with different levels of access right, which includes sales manager, salesperson, emarketer and etc. The type of user mainly handles and distributes sales enquiries. This type of user mainly organizes marketing events. This type of user mainly sends newsletter. This type of user mainly follows up customers' contact information. 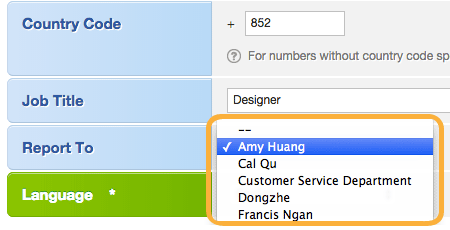 You can create new user roles or modify existing user roles at the section of [User] in [Admin] panel. Enter [User] section in [Admin]. 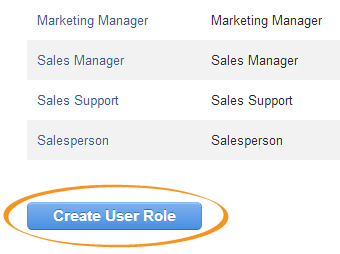 Create new user roles by clicking the [Create User Role] button at the top right corner. Set the user role name and give it some description (if needed). Enable functions for this user role. For example, if you have disabled the functions [Edit] and [Delete], the corresponding function buttons will be inactivated. 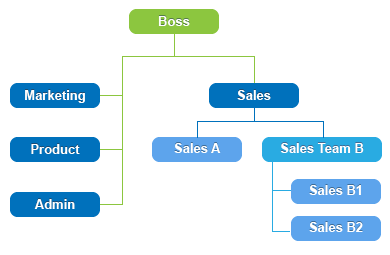 The following diagram illustrates a general case in companies. 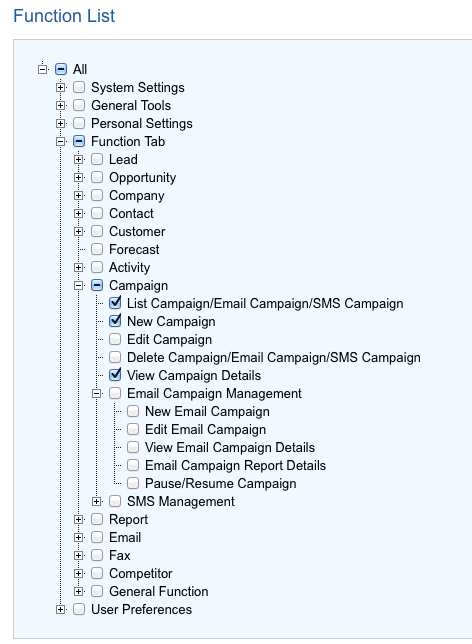 You could build such hierarchy structure through the field [Report To] in user profile. In [User List] of [User] section, click the [Edit] button to modify the user profile. 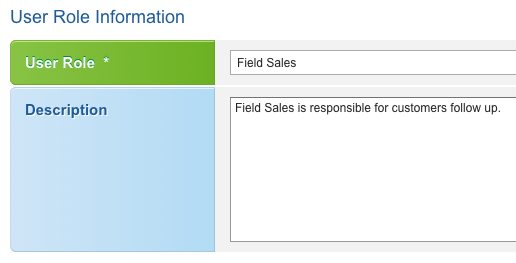 Choose the supervisor of this user in the [Report To] field.